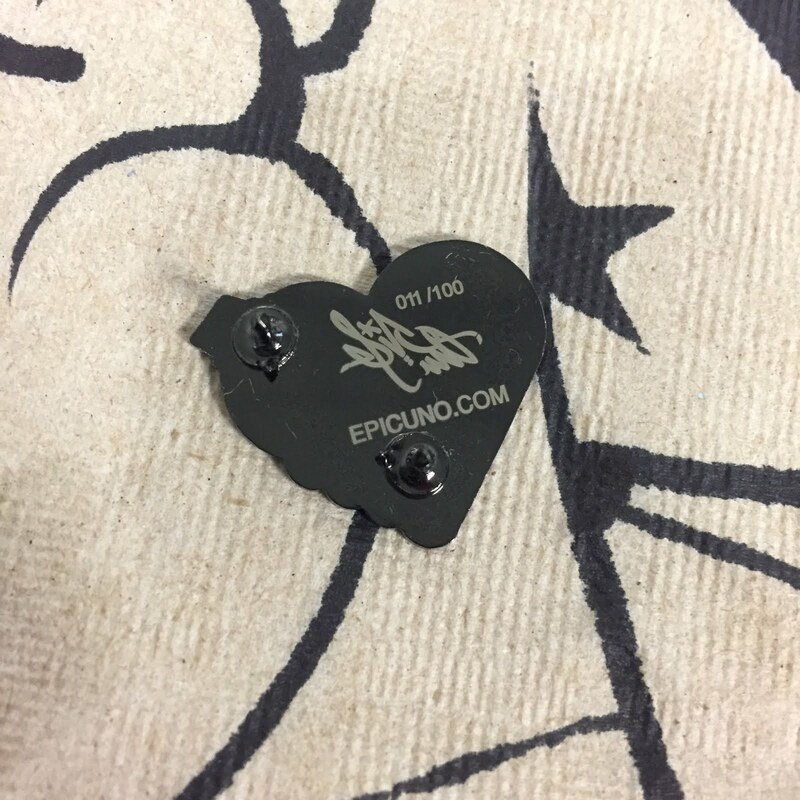 EPIC UNO: EPIC SKULL AND GRAFFITI HEART ENAMEL PINS AVAILABLE NOW!!! EPIC SKULL AND GRAFFITI HEART ENAMEL PINS AVAILABLE NOW!!! For a long time now i have been wanting to produce pins based on my illustrations. Well..... finally i took the plunge and produced the first of many to come... my Epic Skull and my classic Graffiti Heart Design. Engraved with signature and numbered. Only 100 of each collectors item available. Find them at www.epicuno.com now.